This salad has evolved since I first tried it. It changes slightly each time I make it, depending what I have in the kitchen. I might use different noodles or beansprouts instead of cucumber, but the dressing never changes and that is the magical, peanutty best bit. Unless you don’t like peanuts, in which case you really won’t like this. I’m sorry, I promise to write something non nutty soon. 3 table spoons of peanut butter (preferably chunky, but smooth will do just fine). I like to get the purest peanut butter I can, the less salt and oil that's added, the better. 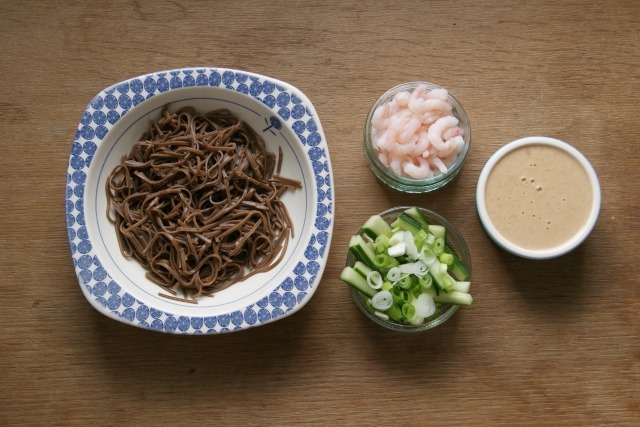 I prepare the noodles and dressing in advance as they both need to cool again before combining all the ingredients. First off, get a pan of water boiling for your noodles. 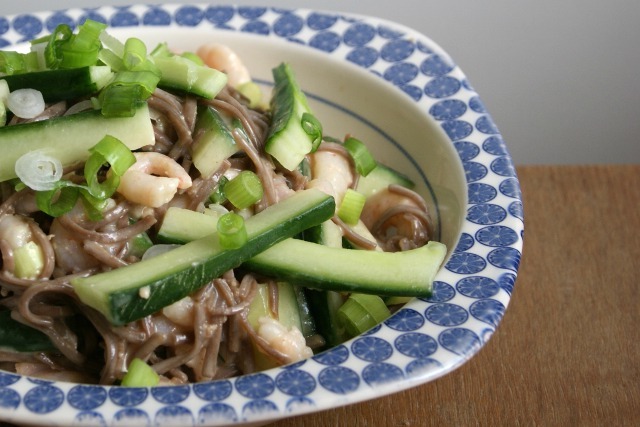 If you're using soba noodles, pop them in then they will take hardly any time at all to cook (about 4 minutes). You want them to be cool when they go in the salad, so wash them in cold water as soon as you drain them so they don't keep cooking and become a mushy mess. At the same time, add your peanut butter and coconut milk to another pan and put over a low heat, stirring it all the time. The aim is to warm this so that the peanut butter melts, but there should be no cooking going on in that pan. 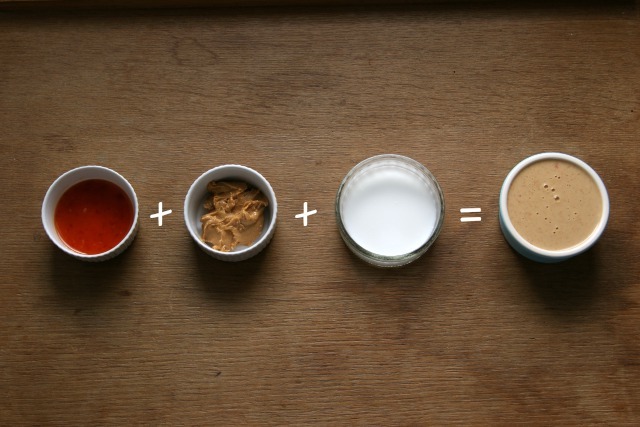 Once the peanut butter and coconut milk have combined, stir in the chilli sauce and take off the heat so it gets nice and cool. Then chop your cucumber and spring onions ready to mix in. 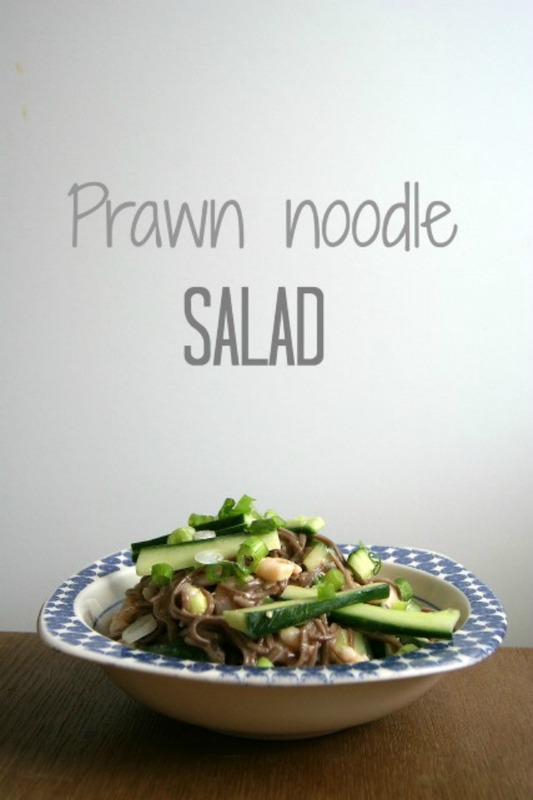 Once everything has cooled down, stir in your dressing with your noodles, cucumber, prawns and sprinkle the spring onions on top. And you're done!